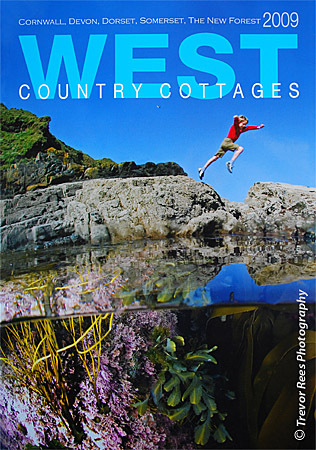 West Country Cottages uses one of my award winning images for their front cover. The West Country Cottages 2009 glossy brochure used one of my award winning images for their front cover. If looking for somewhere to stay in the south west of England it has some of the best holiday rental properties available. A shot taken from near Porthoustock, Cornwall.